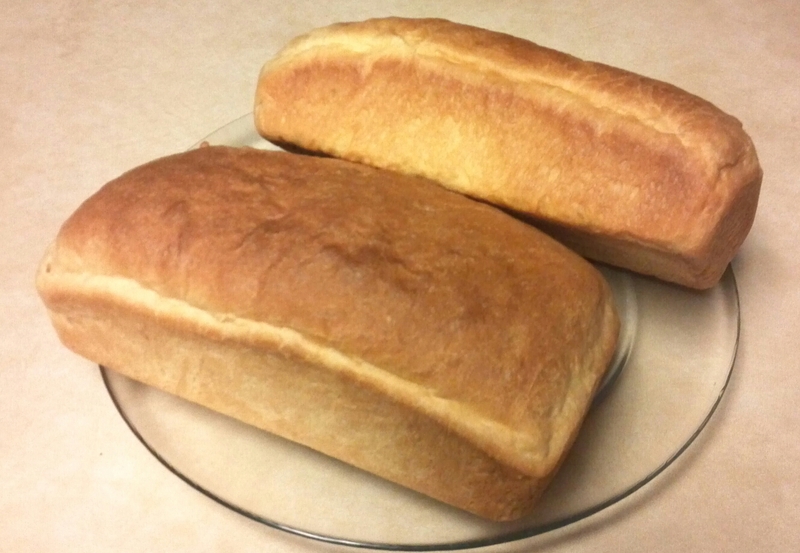 I grew up watching my mother and father make it - homemade bread (as opposed to "shop-bread"). At the time it was pretty common-place, nothing special. They baked bread every Saturday. The really fun part was cutting a slice, spreading some butter on it, watching it melt, and taking a bite. Mmmm...the most wonderful experience - eating freshly baked bread with melted butter. Of my two parents, I would have to say that my mom had the edge over my dad in bread-making. Homemade bread is best eaten in the first two days after baking; after that it loses its first-day taste and softness. The homemade bread of every culture or country is unique in taste and texture. And like that of any other country, Guyana's homemade bread is quite special. It is the bread of choice for use with Pepper-pot, a sauce that originated with the indigenous Guyanese people, and that is typically prepared as a special meal during Christmas. Homemade bread has more meaning for me as an adult than it did when I was a child growing up in Guyana. Back then, I more or less took it for granted; now, I enjoy immensely the experience of baking it and having a couple of slices with cheese and coffee. I would never forget the day I first baked homemade bread under my mom's guidance. I have since become an expert at it, and my four children are my greatest fans. Being taught how to make homemade bread by my mom is one the greatest gifts I have ever received.